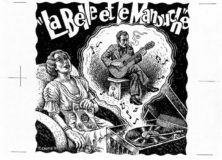 The opening exhibition of Van Horn consisted of 7 original drawings by Robert Crumb in his first solo-show in Germany. These were all more recent works from 1996 until 2003. 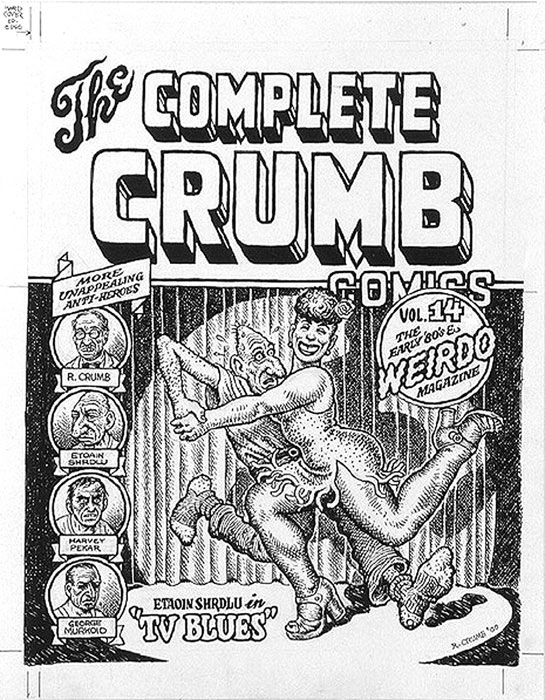 Robert Crumb is probably most well-known for characters such as Fritz the Cat and Mr. Natural, which he invented when he was part of the so-called “underground comic scene” in the 60s. 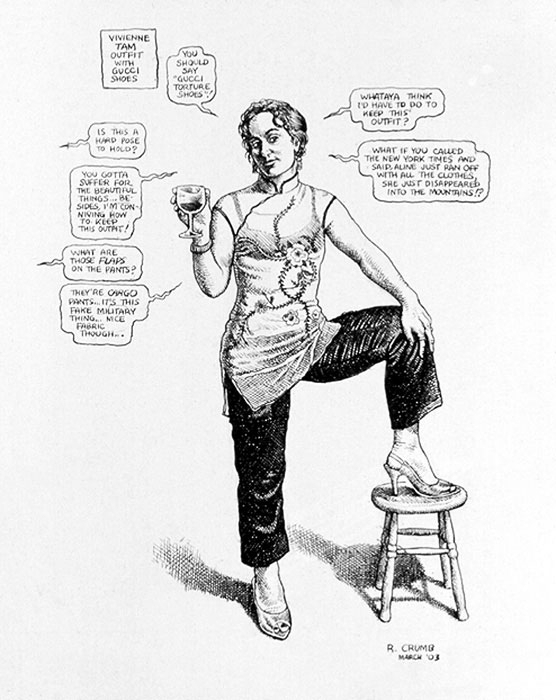 But Mr. Crumb’s artistic work goes far beyond psychedelic comics. Over the years he developed an artistic body of work which is not only striking through his craftsmanship and intensity, but also through it’s wit and the underlying beauty it conveys. 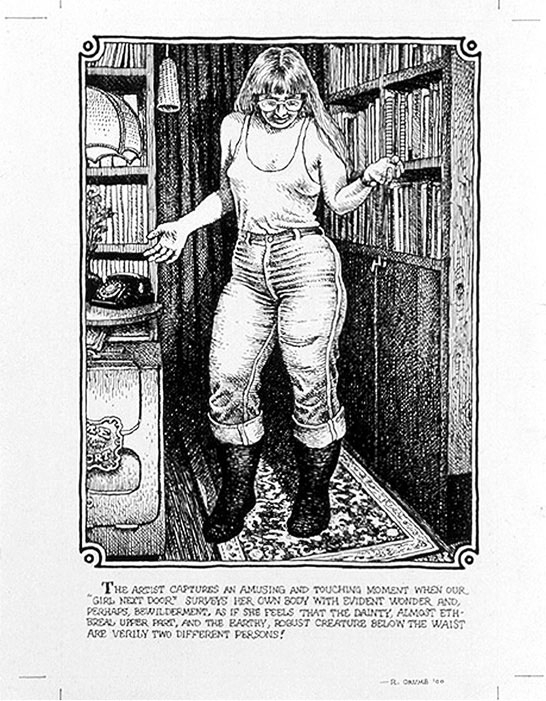 In both his work and in person Robert Crumb embodies what I find important in art. 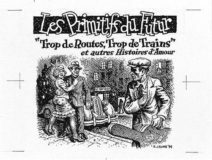 He is a gifted draftsman and pursues his work and life with astonishing unconditional fervour. 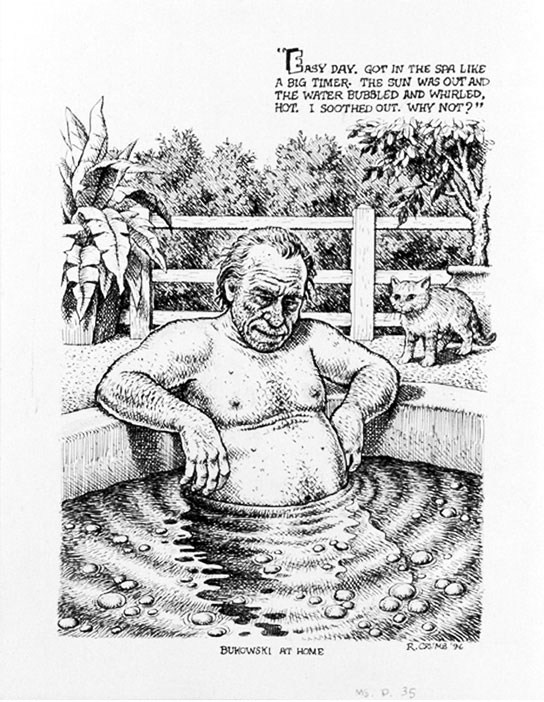 Nevertheless his work wasn‘t exhibited in Germany until now and also was not really present in the perception of the common artworld. I think he’s one of the greatest living artists and wanted to see his work myself in my space. (somebody said: “The Brueghel of the 2nd half of the 20th century) . He does uncompromising, strong work and is fearless with his obsessions. Artistically as well as personally he’s absolutely true to himself. Without his generous support and help the Van Horn project couldn’t have happened this way. Parallel to his exhibition other events took place, like live screenings of films about him and films with related themes, as well as a live performance.